What Car Repair Are You Most Likely To Get Ripped Off On? Even a knowledgable car enthusiast can be tantalized by the authoritative analysis of a professional mechanic, but it's no secret some outfits are keen to upsell on repairs. 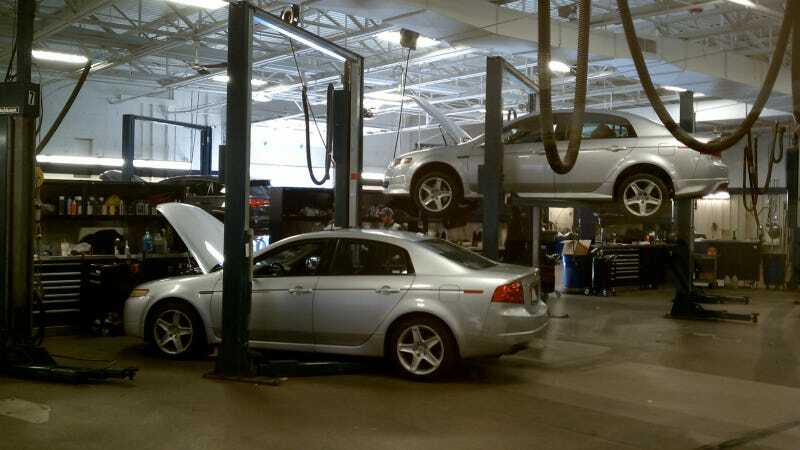 I was recently lured in to my local Acura dealership with the promise of a $29.00 oil change and tire rotation. They delivered, but not without a tour of my vehicle's undercarriage, during which every leak and crack was shown to me with a flashlight and tabulated on an invoice. I left with a polite "no, thank you" and a sump of fresh oil, but I could see how easily one might fall victim to an aggressive sales pitch and spend a small fortune. I was quoted for just shy of $1,500 on work I knew wasn't worth half that. What repairs have you seen the highest markups on? What do you think a fair price would be?